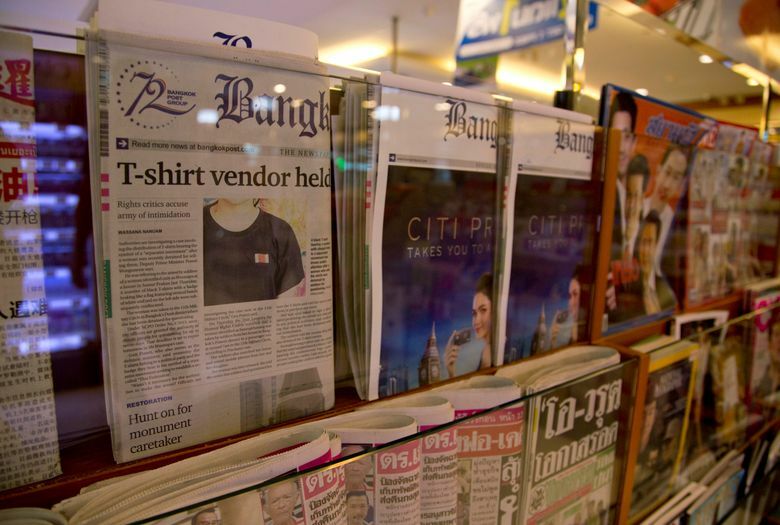 BANGKOK (AP) — Thailand’s military government has arrested alleged sympathizers of a tiny political movement advocating the abolishment of the constitutional monarchy, seizing as evidence T-shirts bearing the group’s logo of a red and white flag. Prime Minister Prayuth Chan-ocha told reporters Tuesday that the detained people are part of an anti-establishment group that has been vocal on social media despite the government’s efforts to shut them down. He said their arrests were necessary. “Thailand is not a federation. We are a democratic constitutional monarchy and it is stipulated in the constitution that we are one indivisible kingdom,” Prayuth said. “But a federation divides into many states, which Thailand does not. And the Thai flag is the tricolor flag. So can their actions be considered treacherous?” he asked reporters. The dissidents’ flag logo appears to be inspired by the Thai national flag, which has horizontal bars of red, white and blue. The group’s logo, with vertical stripes, does not include blue, the color understood to represent the monarchy. At least some of the members of the Organization for Thai Federation appear to have belonged to an extreme faction of the Red Shirt movement, supporters of former Prime Minister Thaksin Shinawatra, who was accused of disrespect for the monarchy and ousted by an army coup in 2006. In the aftermath of that takeover, the Red Shirts fought sometimes violent street battles against Thaksin’s opponents, who were backed by the military. “They come from one source, which is from the Laos side, and they also have a network in Thailand,” Prawit said. 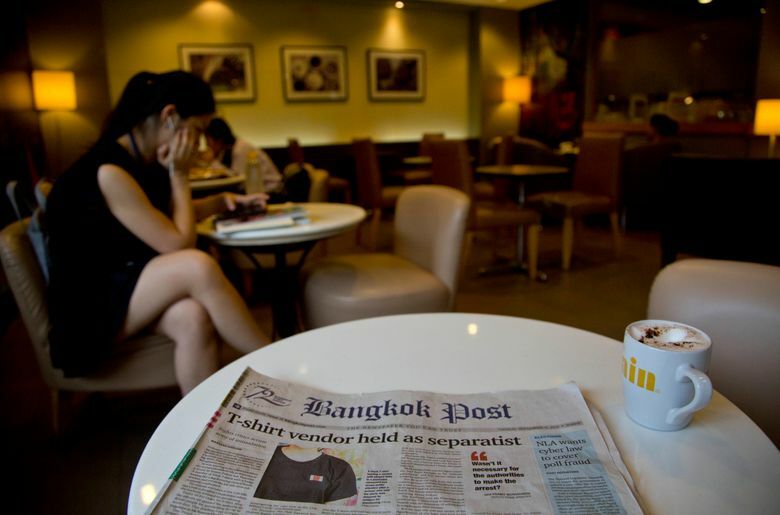 Thaksin’s sister, Yingluck Shinawatra, became prime minister in 2011, but the army staged a coup against her government in 2014, and has since kept a tight lid on dissent against its rule, including peaceful demonstrations for democracy. This story has been corrected to show that only three people have been charged so far.